Throughout winter I’ve noticed that my skin has been increasingly dehydrated and dry which is something I’ve never had to deal with before. With oily skin, your main goal is to keep it shine free but it all becomes a bit complicated when you have to also keep it hydrated. 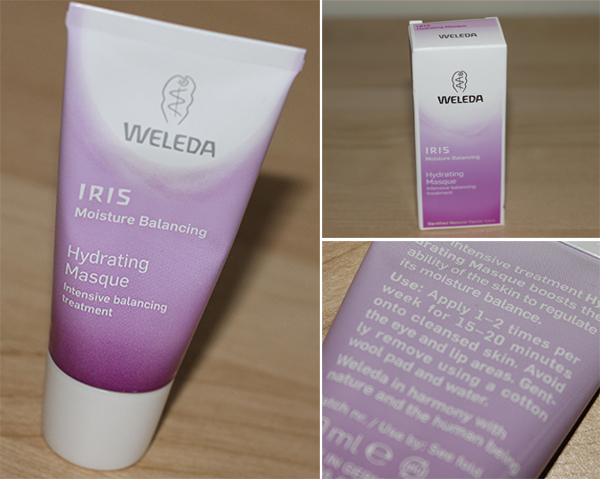 The Weleda Iris Moisture Balancing Hydrating Masque* has been a lifesaver for my skin lately. This product helps to restore and regulate the skins natural moisture balance through selected natural organic ingredients, particularly the extract of the Iris plant root. I’ve been looking at trying a few different moisture/hydrating masks so this came at the perfect time. This is quite different from any other mask I’ve tried. It doesn’t peel or dry up like other masks do, but sits gently on the skin working it’s magic. I put it on for 20 minutes while watching some tv and when it was time to take it off, my skin has never felt so soft! I’d compare the mask consistency to a very thick moisturiser. Scent wise, it does have a slight scent but it’s very fresh and not too overpowering once you have the mask on. If you’re skin is in need of some hydration I’d really recommend this. It makes such a difference using it just once a week and I've noticed I have far less dry patches on my skin as a result.